Wedding is the most important of our life because it binds us to a lifetime commitment. It is a way of openly manifesting our deep commitment to the person we choose to spend the rest of our life. Since most peoples will only getting married once in their lifetime, we need to choose the best wedding dress for us to feel beautiful, comfortable and special on that special day. The better we feel about ourselves in the wedding dress or evening gowns, the more confidence we will have. Besides wearing it at our wedding, we can always wear our wedding dress at some important occasions or parties and Taiwan has the best quality customized wedding full dress (過季婚紗禮服). Using a high quality material that made in Taiwan (台灣製造), it is both beautiful and fashionable. D-S Wedding (第一婚禮) is one of the top 10 in wedding dress and wedding photography Company in Taiwan. Besides renting and selling wedding dress, they provide other services which include shooting of wedding photography and so on. They had various dress style and the services provided had made the customers feel happy and satisfied. D-S Wedding had over 300 wedding dresses for you to choose from. 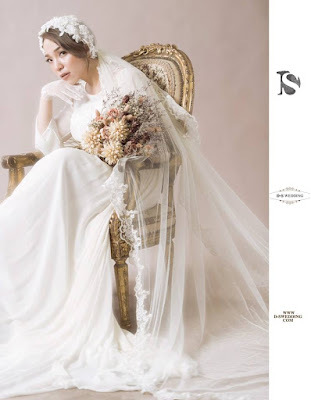 D-S Wedding (第一婚禮) is also selling wedding dress that are out of season. Even though it is out of season, it is still made in Taiwan and has the best quality of the dress. The price will definitely be cheaper and it had attracted many peoples to purchase it. With a nice and cheap wedding dress, it is definitely my ultimate choice to get it for an important occasions. 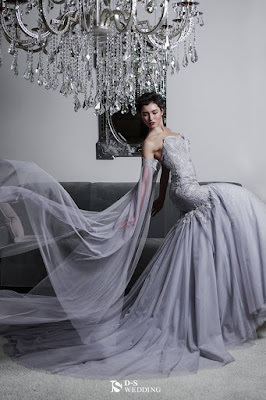 For more photos of the Taiwanese fashion wedding brands, do check it out from HERE. 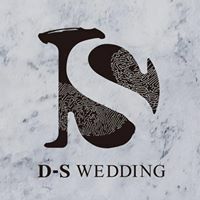 For more information on D-S Wedding (第一婚禮), do visit their official website (第一婚禮官網) at www.d-swedding.com. 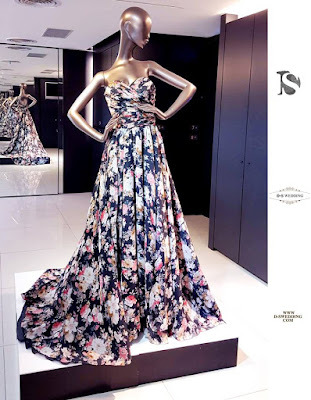 For D-S Wedding's full dress shopping platform (第一婚禮過季禮服購買平台), do click HERE. 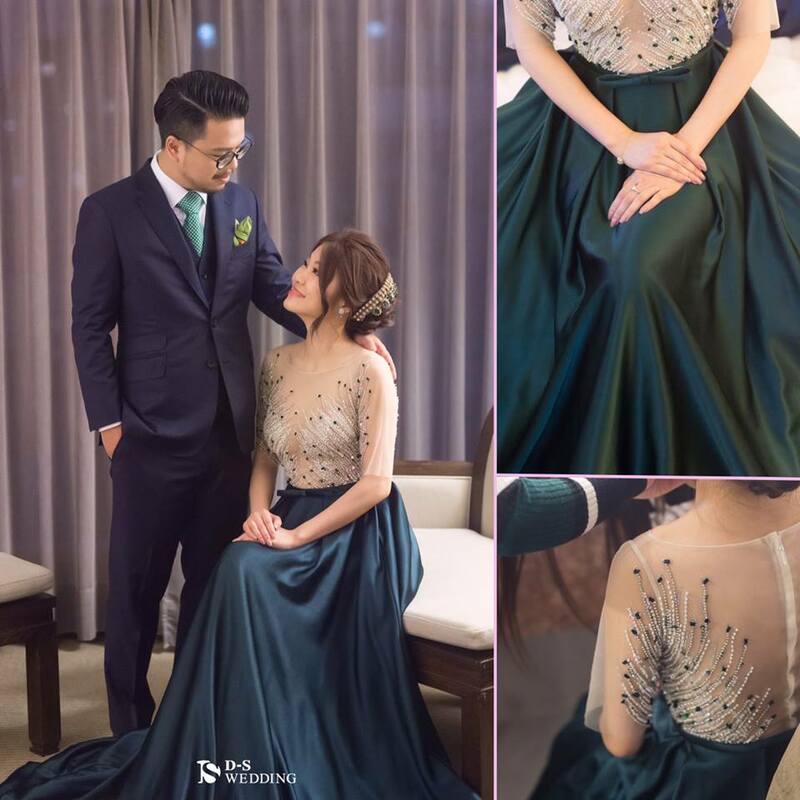 For Taiwanese evaluation of D-Wedding, do check this out at http://verywed.com/dress/0227551100. It is a fate that met both of us with each other with the same constellation and same hobby. When we finally decided to hold each other's hands till the end, we already had met the best thing about love. Looking at the various designs of the wedding dress, I was amaze with the high quality material used and the beautiful of the gowns. Each of the dress was customized made and unique. I'm sure I will feel more beautiful and more confidence wearing it. With the low price offer for some of the dresses, I will get few too for my invitations to attend wedding dinners and special occasions. wow all the dresses nampak sangat elegan and I love the manik deets ! But is there any wed dresses fir for my size and fat ? Syafiera, sure got. You can go to their website to choose it. Price pun murah. taiwan wedding gaun is always good quality. and you will looks pretty elegant with their gaun. nice photo from you too =) happy wedding! Salina, thanks for your compliment. I already order but yet to arrive. Will share to you once I wearing it. Virgo, even though we are fat, we still can wear it to looks beautiful. all the wedding dresses look so gorgeous and makes me wanna go take few shots for that...lolz... just send this link to my friends who need this..
Racheal, thanks for your support. You should take few shots as remembrance and I'm sure you'll looks beautiful on it. Nadia, memang cantik. We can always wear it for dinner or special occasion. The dresses are so elegant. I wonder if one would look just as outstanding if she does not have such a slim figure. Emily, we don't need a slim figure to looks beautiful. As long as we got a suitable dress, then it will makes us looks beautiful too. Such a beautiful and gorgeous wedding gowns. The black chiffon floral wedding dress looks unique of them all. Shub, I like that too. You can wear it for dinner too. Cindy, just get 1 to wear it. It is cheaper now and we can wear it for dinner. These dresses looks gorgeous! But I prefer something simple and elegant with sleeve, so it last for years and can be a heirloom. Blair, you can check out their website for more options. Those are beautiful choices of gowns there especially the chiffon one. I love all the beautiful gowns. Rawlins, me too. Do check out their website for more options. My husband and I had our wedding reception at this place. It was absolutely perfect! The manager and his staff from San Francisco wedding venues were excellent and wonderful to work with. You won't be able to find more for your money. Krish, I definitely agreed with you. Capek, DEPOSIT Teruss..Tapi Tidak Pernah Witdraw ? Permainan Yang Mudah Dimainkan dan Mudah Menang Lohh.. This wedding dress are awesome. I like the first one. I should convince my personal shopping companion to buy me this type of dress for my wedding.